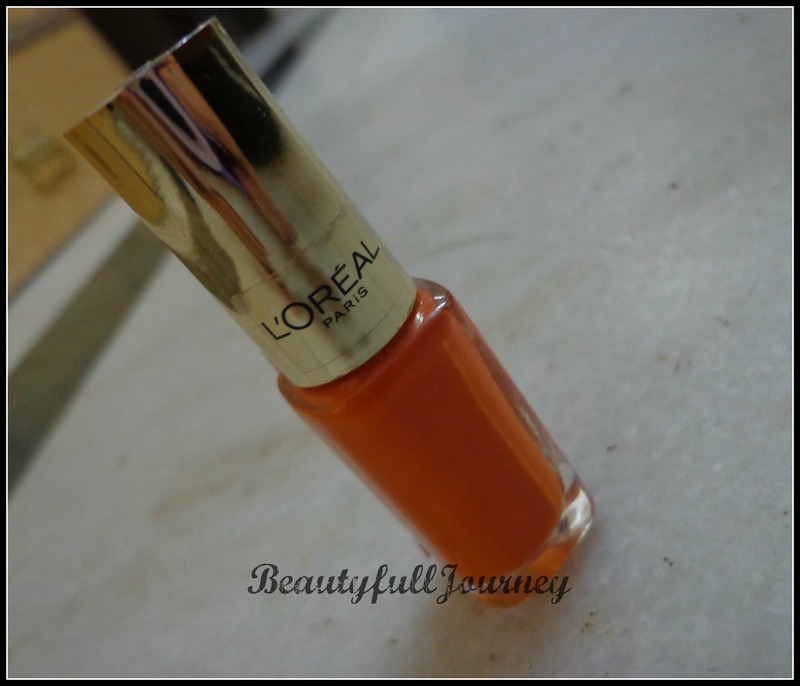 REVIEW, NOTD: L’Oreal Paris Color Riche Nail Polish – Lush Tangerine. Your dream color is now at your fingertips with Colour Riche® Nail Color, a unique formula that delivers intense color, luxurious shine and 10-day wear*. Available in a delicious spectrum of must-have shades, the collection is divided into 4 unique color stories curated by L’Oréal’s exclusive Color Designer Orrea Light. There’s a perfect hue to match your personality, style and mood. Rich, trendy colors exclusively curated by our international Color Designer. Patented brush for ultimate control and precise application Find your shade(s) in one of 4 color collections. *When used with Colour Riche® One Stop Base base coat and Top of the Line top coat. Available at all L’Oreal counters and most online stores. 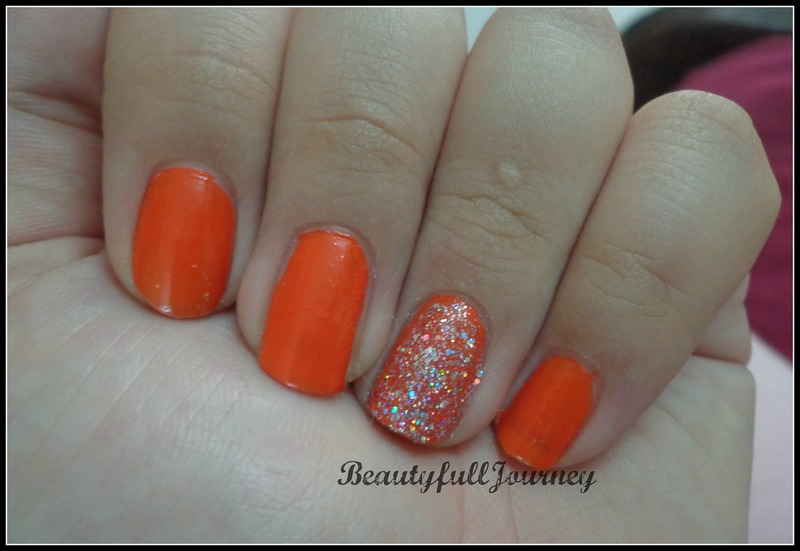 This pretty nail paint is a new addition to my orange collection. 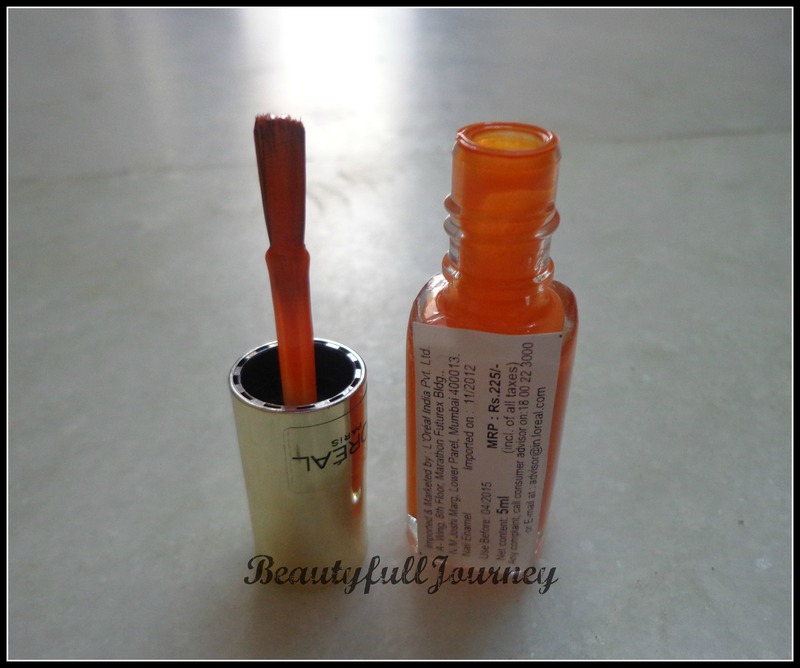 The nail paint comes in a simple tiny rectangular bottle with a golden cap. There is no text or anything on the bottle. There are only 2 stickers with the details. Only the cap has a L’Oreal sticker on it and the top of the cap has the nail paint number. The bottle looks quite classy and contains 5ml of product. The nail paint is a little expensive seeing the quantity. The nail paint has a flat brush which covers almost the whole nail in 1 stroke. It’s quite a comfortable type of brush. 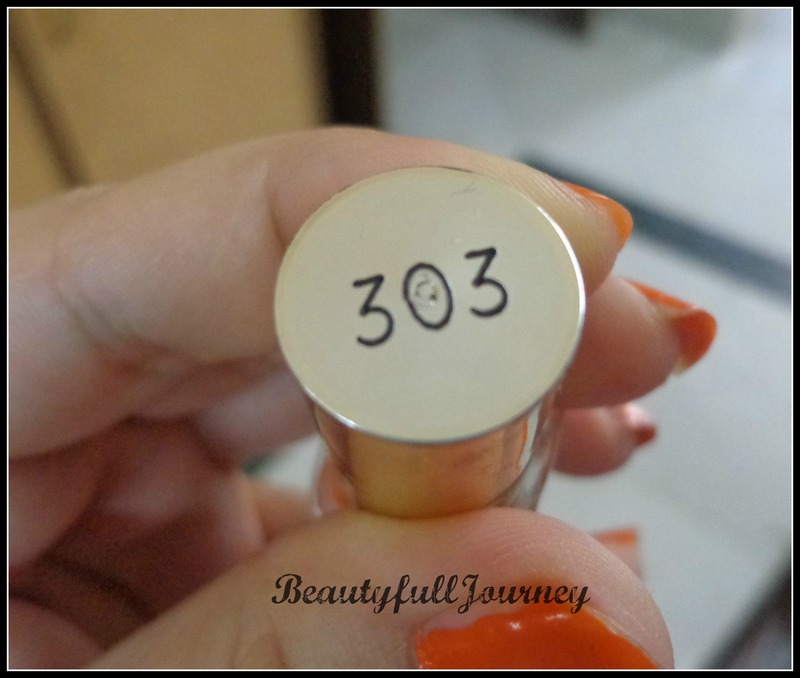 The shade I have is #303 – Lush Tangerine. 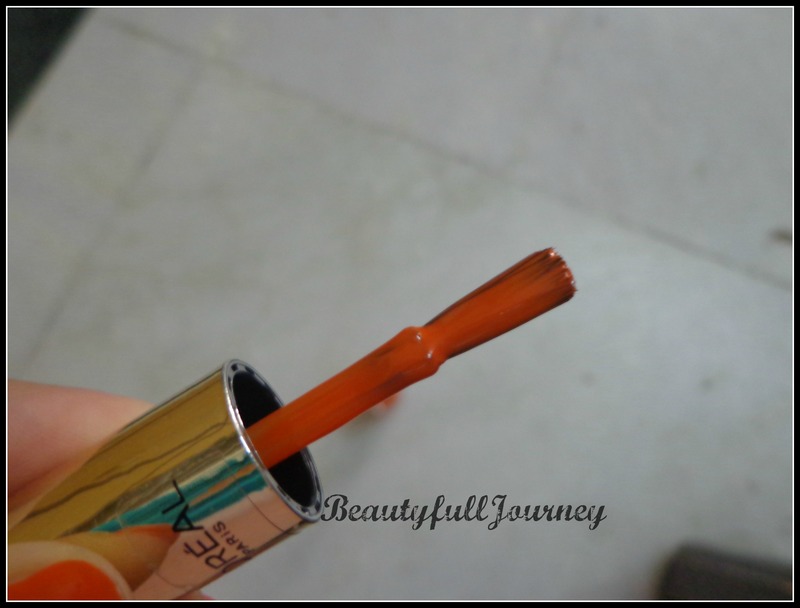 It’s a pretty yellow based orange which is perfect for summers 😀 the shade is a crème finish nail paint and has no glitters. The formula of the nail paint is slightly on the runny side. But it comes out on the nails evenly. There are absolutely no streaks. It goes on very smoothly and gives a glossy finish. I’ve used 2 coats here in the pictures. Minimum 2 coats are needed to get the nail paint’s full opacity. The nail paint doesn’t chip till 3-4 days easily. Even after that, it remains very wearable and looks decent with minimal chipping at the edges. I wore it for 6 days and this was my experience till then. The range has some gorgeous shades and I really want to try So Chic Pink. Overall, this is a great nail paint with a very convenient brush. The shades are very pretty and the formula is comfortable and easy to use. 2) Easy to use brush. 4) Not at all streaky. < Previous The Nature’s Co Monsoon Giveaway Winners ! !